01 Ajna Spine Series at the Whitney Museum of American Art Bitstreams exhibition. 03 Social Object: Sculpture and Software. 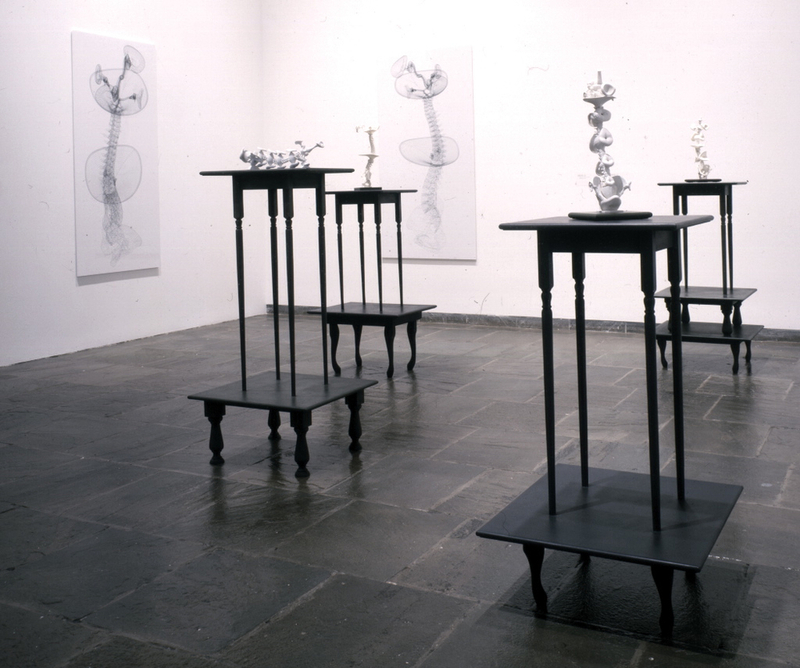 Dimensions Variable, 2009. Interactive artist authored software, with objects. 06 Putto 2x2x4, Fiberglass and luminore iron coating, Steel, 1:30' animation, stadium display screen. 2005. Collection of the Kemper Museum of Contemporary Art. 08 Putto 2x2x2 Fiberglass 2003. 09 Caduceus, Steel stud, plaster, wire, labels, beeswax. 1991. Collection Whitney Museum of American Art. 13. Social object: Photo (actual, virtual). inkjet print on archival paper, 34x22". 18. Tactical Play Exchange (with Robert Gero), installation view, Pablo's Birthday, New York. 19. Intervening Phenomena (with Robert Gero),, painted polyurethane foam, joint compound, painted 3d print, 65"x55"x30". 2012 From Tactical Play Exchange. 20. Enigmatic Response Inverted (Ernie Kovacs) (with Robert Gero),, polyurethane foam, synthetic rug, painted 3d print, 62"x18"x15". 2012. From Tactical Play Exchange.